These days a lot of web activity occurs behind the users’ back. Any link we click, any site we visit, is tracked and recorded by companies that we are completely unaware of. However, using some tools made by folks who are worried about our privacy and security, we can see and minimize the amount of tracking that is done as we traverse the web. The web works on advertising. Most websites have some sort of advertisement. Closely associated with advertising is the concept of tracking cookies. These are small text files that an ad company leaves on users’ computers to collect information about them: the sites visited, the articles clicked on, etc1. These tracking cookies allow advertisers to build a personalized profile of any user based on their browsing behavior to tailor ads according to their apparent preferences. In and of itself, this behavior seems like a fairly reasonable compromise. A person visits a set of sites, and an ad company or data company collects some information that helps both advertisers and the end-user: the user might see ads relevant to their interests, and the ad company might attract a better click-through rate. However, one can quickly see how this behavior can be exploited by any company. If the collection company (ad or analytics) chooses to keep the data for long-term usage, it can become a privacy and security risk for the user. And that is exactly what has happened. Companies — like Facebook and Google — have pushed the pendulum a bit too far towards their side by trying to collect every possible iota of user information on the web. They already have a lot of user data: emails, private messages, favorite bands, TV shows, etc. In one sense or another we as users have given them explicit permission to take and use this data. However, the practice of collecting data through a user’s browsing behavior seems a bit more sinister: most users are unaware of the practice, no one really knows how long the information is kept, or who this information is sold off too — of course it’s being sold, that’s why information is collected, to be sold to the highest bidder. I’ve only pointed out Facebook and Google, but there a plenty of other, less well-known companies that are in the same business. The good news is that as users we can take some simple steps to minimize this tracking. The (more) bad news is that we have to be proactive about it. There are plenty of browser add-ons that claim to reduce tracking and increase privacy and security. 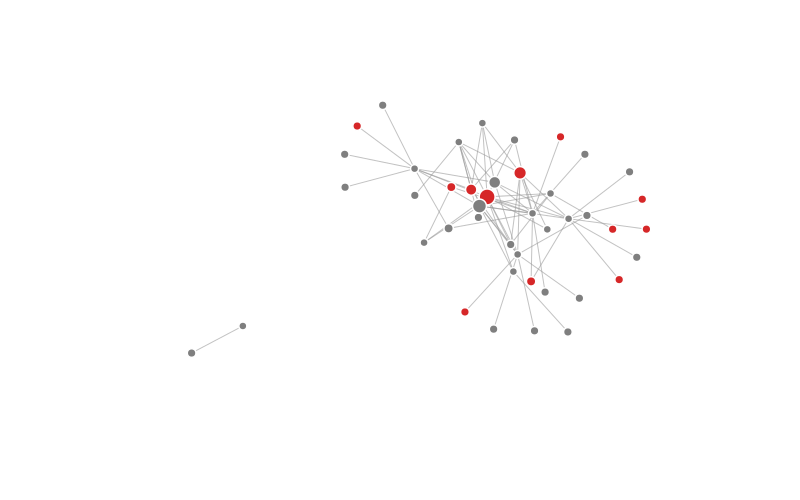 Using a Firefox add-on called Collusion (by Atul Varma) we can actually visualize this tracking behavior, and see if these add-ons provide any tangible benefit. In order to do these tests, I visited particular articles on 18 fairly common sites2 using Firefox 10.0. I set up separate profiles for each configuration, and repeated each run 3 times. The Collusion add-on uses information on known trackers from privacychoice.org to construct a connectivity map showing sites that collect and store your information. 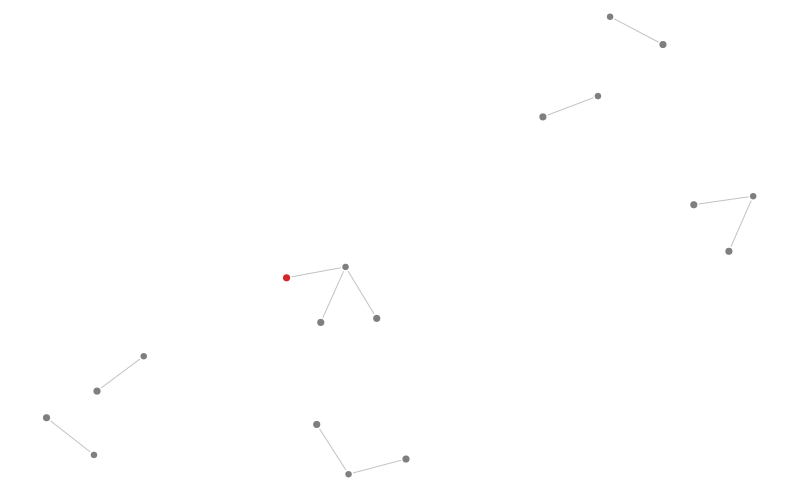 Known trackers are shown with red dots, other connected sites are shown in grey; it’s unknown whether they collect and store information. I visited the websites using several different settings and add-ons in Firefox to see how the tracking behavior is modified. My first run was using the default installation of Firefox 10.0. The results can be seen in Figure 1 below. There were an astonishing 66 trackers collecting information from the 18 visited sites. 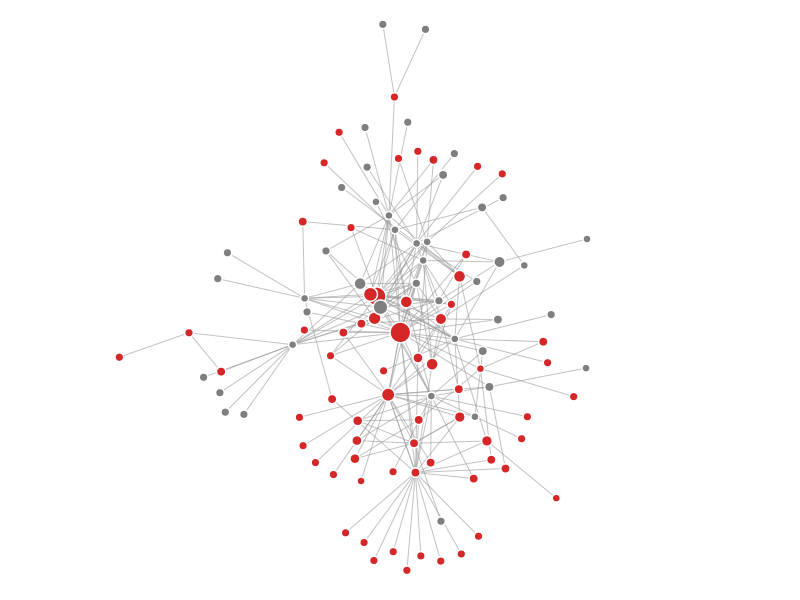 The largest tracker (largest red dot) was ‘Scorecard Research’ with 28 connections, followed by ‘doubleclick.net’ (Google) with 25 connections, and ‘Nielsen Netratings’ with 21 connections. I was expecting a large number, but 66 confirmed trackers are still a bit too much from just 18 sites. Figure 1: Connectivity map of the default Firefox 10.0 installation. As most of the trackers were associated with advertisement firms, I decided to use the popular add-on Adblock Plus (by Wladimir Palant) for my next run. As Adblock Plus prevents the actual third-party site code from loading, I assumed that it would suppress tracking cookies. And that’s exactly what happened. Loading the same 18 sites/ articles produced a very different connectivity map this time. Only 9 trackers were detected (Figure 2, below). The largest tracker was again ‘Scorecard Research’, followed by ‘Nielsen’ and then ‘Quantcast’. The number of connected sites for each was 14, 9 and 7, respectively. So just using Adblock Plus drops tracking by seven fold. Quite impressive results from just one add-on. Figure 2: Connectivity map of Firefox with the Adblock Plus add-on. After installing Adblock Plus, I installed a spate of add-ons that don’t target non-advertising networks in particular, but are still useful for privacy and security. They were HTTPS-Everywhere, Beef Taco, and Better Privacy. HTTPS-Everywhere (by the EFF) forces a secure connection on sites that provide that option. Better privacy deletes ‘supercookies’ on exiting the browser. Supercookies can be a number of different things, but Better Privacy deletes Flash based objects (called LSO). One caveat though, by default it deletes all stored Flash objects, so if you play Flash games, you’ll have to manually whitelist that site. The last add-on, Beef Taco (by John Hobbs), sets permanent opt-out cookies for ad networks. 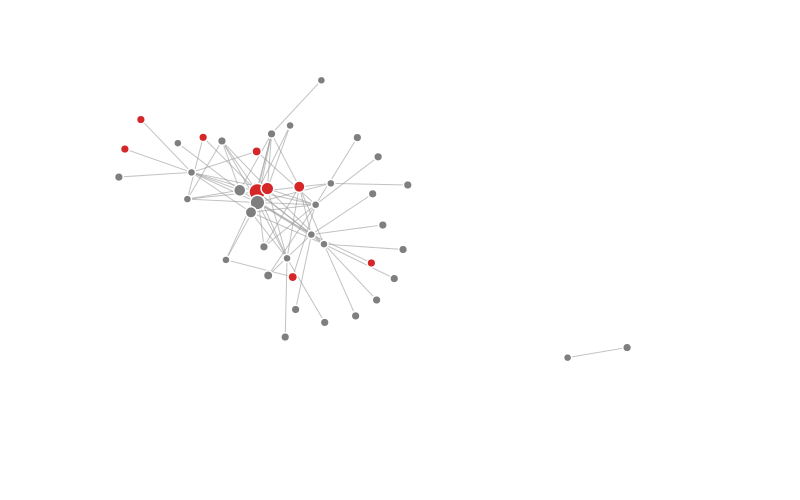 Because it doesn’t target other types of tracking cookies, I didn’t run Collusion to visualize how it changes the connectivity map. In hindsight, it would have been a good idea. The next anti-tracking add-on I installed was Disconnect. It’s a fairly new add-on compared to the rest and I had heard good things about it, but it was a bit disappointing. As it can be seen below (Figure 3), the number of confirmed trackers increased to 12. The top three trackers were the same as Adblock Plus, but their connected sites were now read 12, 8, and 6. It seems that Disconnect only focuses on social networks in particular, and perhaps that’s why it isn’t particularly effective. Maybe Disconnect interfered with the above mentioned add-ons and caused an increase in trackers from 9 to 12. Figure 3: Connectivity map of Firefox with the Adblock Plus, HTTPS-Everywhere, Beef Taco, Better Privacy, and Disconnect add-ons. For my next run, I used an older add-on called Ghostery (by David Cancel) instead of Disconnect (the other add-ons were still in place). Ghostery has a very large blacklist of third-party cookies that isn’t enabled by default. I enabled the entire blacklist, some 850 sites or so before visiting the same 18 sites. The results were fantastic. Only 1 confirmed tracker remained. It was outbrain.com, connected to cnn.com. So a 66 fold decrease from the default Firefox installation! Figure 4: Connectivity map of Firefox with the Adblock Plus, HTTPS-Everywhere, Beef Taco, Better Privacy, and Ghostery add-ons. After the Ghostery run, I did another run with all the aformentioned add-ons enabled simultaneously (the “kitchen sink” if you will). The results were similar to that of of the Ghostery configuration: only 1 tracker remained. My last run was with a very old piece of software, something I’ve been using since the dinosaur days called SpywareBlaster. It’s a blocklist that stops many browsers from loading known malware. It didn’t affect the connectivity graph either, but in this case that just might be because the 18 sites I visited were well maintained, safe sites. It’s blocklist is probably very useful when visiting the dark corners of the internet (I’m sure everyone ends up at a strange unheard link every now and then). 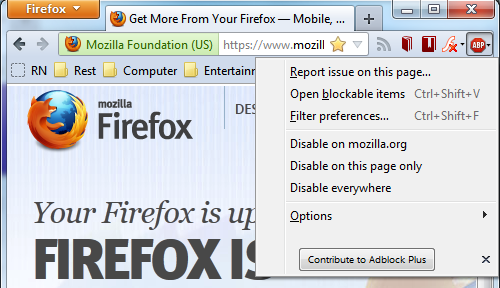 For most of my recommendations to actually work, you’ll have to be using Firefox. I’ll come back to other browsers in a bit. Figure 5: How to whitelist frequently visited sites in Adblock Plus. Figure 6: Ghostery Advanced Options. Adblock Plus and Ghostery do a very good job of blocking tracking cookies by themselves. Browsing will be much safer just with these two add-ons installed. The other add-ons I used in this post’s runs provide other benefits that are useful, but not necessary for blocking tracking cookies. I’d still recommend installing them, but for other reasons. Lastly a note on browsers. I’m partial to Firefox myself, and I think it holds up well against most other browsers. The only other browser worth using (at least in Windows/ Linux) is Google Chrome. In my opinion it has two great features that Firefox doesn’t: sandboxing and individual process per tab. On the other hand, it gives the user much less control, and it’s a bit of a laggard in add-ons for privacy and security. It does have Adblock Plus3 and Ghostery add-ons, which is great. But I’d still say use Firefox. Either way, install some of these add-ons, and start browsing safely!